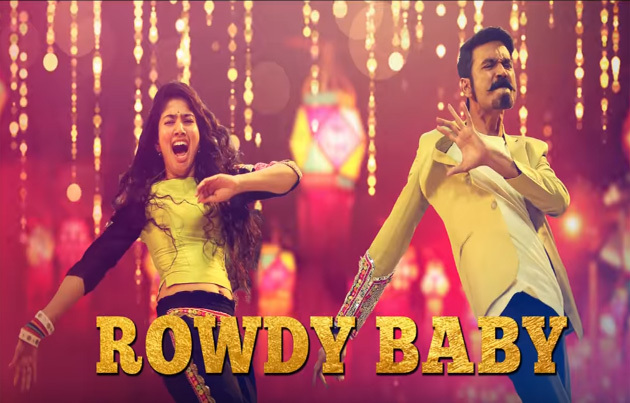 While Maari 2 has been panned by critics and audience alike, the Rowdy Baby song from the film, in which we saw actor Sai Pallavi outperforming Dhanush, has achieved the feat of hitting the Billboard YouTube chart, ranked number 4 in its list of popular YouTube songs. The Rowdy Baby Song choreographed by Prabhu Deva has more than 790,00,000 Digital views and counting, with 9 lakh ‘likes’ on its official YouTube video. The catchy number sung by Dhanush and Dhee has become a rage. In the Rowdy Baby Song, Sai Pallavi, known for her amazing dancing skills, yet again proves her mettle and dances with such ease, making it hard for the viewers to take their eyes off her. Actress Sai Pallavi’s dance moves have become viral with many youngsters trying to emulate her on their TikTok videos. The Maari 2 is a sequel to the 2015 film Maari featured Dhanush, Sai Pallavi, Varalaxmi Sarathkumar, Tovino Thomas and Krishna and hit the screens on December 21. However, the film was slammed by critics, who said that it had joined the list of unsuccessful sequels released in the same year, and also lamented that the Maari elements were missing in the film.